Passenger moving services market has a quite serious competition. Small agencies and giant startups, such as Uber, try to conquer a correspondent piece of the market they count on. Regional companies or startups target on a particular city or town where a new technological player definitely has more chances for a successful launch. In this article, we are sharing some useful Tips to Develop Uber-Like Taxi Booking Mobile App for Android and iOS smartphones and tablets and How to Succeed with a New Taxi Booking App with competitors like Uber and Careem in market. A high growth rate is also crucial for this business. Nobody willing to order a taxi knowing an agency has few cars and there is a huge chance a driver will not come at all. People usually call a cab when they hurry or when the current location is unknown for them. That is why speed and free vehicles are so important. How clients will book a taxi is not the least either. A callback is a useful option, however, smartphone owners start tending to order services or products through their devices. The international consulting agency “Accenture” states that mobile applications make ordering and buying easier. Apps facilitate 21% of Starbucks' sales. Though taxi booking app development for iOS or Android is a complex process today we try to understand how to build a mobile taxi app that will be successful. If you have your own taxi garage, then cab service is the main income source. Thus there is no need to make users of your app pay. Although, you have to know an exact cost to develop a taxi app people will appreciate. In case you want to make money on your application, choose another monetization model except for a paid app for any price. Smartphones are now powerful enough to support HTML5 animation or use parallax, which is used by desktop PCs. Traffic limits disappear and transferring data speed increases which define more intensive megabytes consumption. Moving objects make any app design more attractive. They catch users’ attention, call them to action, and provide an unusual and bright interaction experience. Animated applications compare favorably with the ones that have a simple design. People might appreciate a functional mobile app for taxi service with animation of a cab hurrying to pick up a client. Images help perceive information better than text does. A large button with a simple icon meaning the main action becomes one of the most popular trends in a taxi mobile app development and application look in general. This is a part of a material design — Google set up a new standard that mobile app designers try to follow. You can find a clear example of a float action button in your Gmail app. This big red round button can mean only one action. Nobody will misunderstand its purpose. Passengers have to be able to find easily and immediately how to book a taxi. After having launched an app, the main button has to be the very first object users will see. In fact, this is not just about UX/UI design. This will increase the number of orders better than any text calls-to-action will. People just need to book a taxi and a float action button is a way to do it. It makes a booking process much easier. Mobile apps used to contain bright colors, many gradients, and contrasts in order to get users’ attention and call them to action. But things have changed. Google's material design means bold fonts and simple navigation through a menu. Designers prefer delicate color schemes and soft warm shades. Companies, which provide mobile application development services, often use patterns and structures as a font color, and translucent elements to create volumetric objects. Skeumorphs still exist despite Google's solution has become a leading style trend in app development. Practice shows users like realism in native mobile applications. It melts borders between a real world and a virtual one. Realistic objects make technologies easier to learn due to the usage of standard images. Now we can observe a tendency of growing touchscreens. After iPhone 7 and iPhone 7 Plus have been introduced, this trend has become evident. According to “Statista”, a sales number of devices with a screen 5.5"-6.9" will continue increasing in the world. More people will use phablets in the future. A taxi app development company has to take this fact into account. How Can It Influence App Design? Large screens give many possibilities, but they also have disadvantages. One of them is difficult to navigate using one hand. Main functions have to be accessible while holding a gadget with one hand. 10% of users are left-handed that is why smartphone owners have to be able to get to interactive elements on a screen from any side. An element size must be optimal for comfort usage. 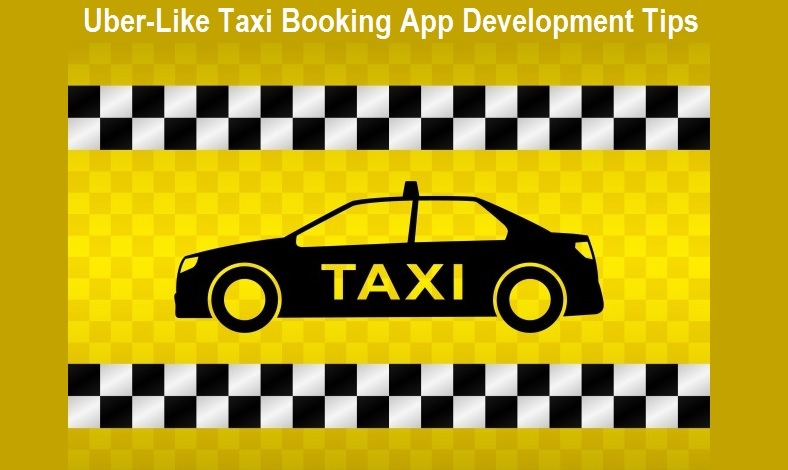 A great solution will be to create a mobile app for taxi booking with the customizable design. What custom settings can users make? Users can set disposition of some menu elements up to their preferences and screen size. Swipe is a new tap. This move became especially popular after Tinder app had been released. Swipe is a more natural finger move than a tap. Scrolling is another comfortable way to navigate through different blocks of information. It makes reading and surfing easier and more attractive. Market research is not the only learning process before building an app. When you hire taxi app developers and then launch your application, another analysis stage just begins. How does the audience interact with your app? How do they estimate it? How often do they use it? In order to succeed with another Uber clone, analyzing user experience is extremely important. Users' satisfaction and Net Promoter Score are key metrics to forecasting a demand for your solution. The more data you analyze, the more chances you have. Color scheme, button dispositions, usability, etc. - every feature needs to be analyzed. You have to understand what users would like you to change in the application. Hopefully, these tips and mobile design trends will help you create a useful app that will definitely succeed. Find taxi app developers for hire and start building. Remember that quality assurance and user experience analysis will let you choose the best and the most optimal solutions for your application. Provided by lunapps.com.